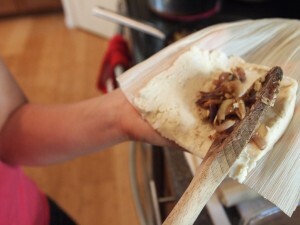 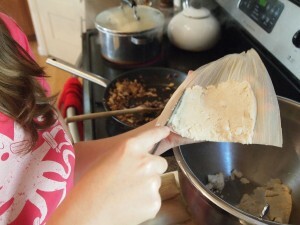 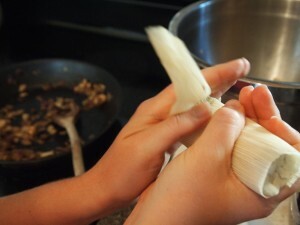 Roll the tamale by pressing the edges of the masa together. Tap masa closed at the end of the tamale to further encase the filling. You will notice that along the length of the tamale there is a seam and at the end you have a tail. 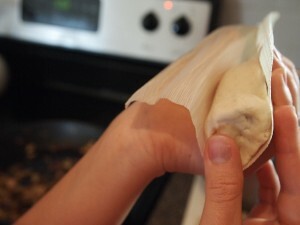 Fold the tail to meet the seam and gently pinch the masa to make sure that the bottom is closed. 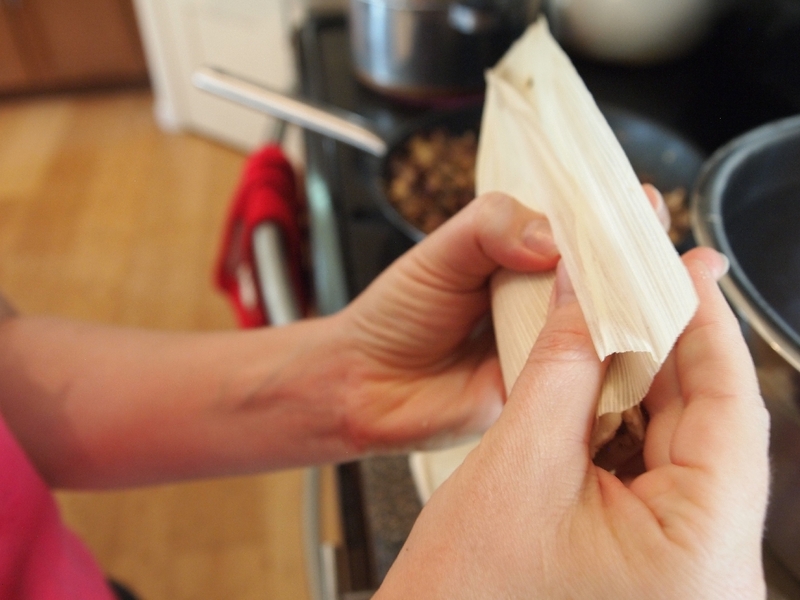 When you lay the tamale down lay it tail down to keep the tamale closed.